Purchasing a security camera syste m for your home, business or both is one of the smartest things that you will ever do and one of the wisest investments that you will ever make. Installing the right type of security-related equipment in your home or business can make you less likely to become a victim of theft or other crimes, it can help make you and your loved ones or employees feel safe and it can help you and the law enforcement officials in your area take action in the event that someone breaks into your home or business, steals from you or commits another type of crime against you, your loved ones, your employees or your property. Although you probably already know that purchasing security-related equipment is a good idea, you might be at a loss as to who to contact about this equipment. If you have ever seen do-it-yourself security camera systems in local retail stores, you may have thought about purchasing one of these systems and installing it in your home or business yourself. This isn’t a good idea, however, because these systems often can’t be trusted. Instead, purchasing your security cameras and other security-related equipment, such as a digital video recorder, from a good, reliable distributor of security camera systems in Ft. Lauderdale is a much smarter decision. Not only can it allow you to purchase better equipment, but you can also work with an experienced company in order to guarantee that your equipment is installed correctly. However, you shouldn’t jump on the first company that you come across just because it sells security cameras and other similar equipment. Instead, you should make sure that you find the most reliable company that you can find. By asking yourself these questions and following these steps, however, you will be far more likely to find a good distributor that you can trust to provide you with the right equipment and the right type of installation. Therefore, you are sure to find that it is worth your while to go through the trouble, and you will be glad that you did when you end up with a surveillance camera system that is right for you and your home or business, as well as your budget. Before making any serious moves or counting on a company to provide you with the security-related equipment that you need in order to protect your business or home, it is important for you to find out more about the business that you are thinking about hiring. Since there are a lot of companies out there that sell equipment and install it, there is no reason to deal with a company that you can’t trust or that won’t do a good job. Although there are always exceptions, doing your research beforehand can make a serious difference in whether or not you find a good security equipment company and have a good experience when purchasing your equipment. Looking at these things and anything else that comes to mind can help you make the smartest decision. Time isn’t everything, and there are certainly new companies out there that provide better equipment and services than some of the old ones that are out there. However, your best bet is typically to deal with a company that has been in business for a while. Not only will this allow you to work with a company — and the people who own and run it — that has experience in the field of security camera system sales and installation, but it can also help guarantee that the company will follow through with its warranty in the event that you need them to. This can’t be said so easily for companies that haven’t been around long, because you can’t be sure that they will last through the test of time and still be in business when you actually need to have your warranty fulfilled. Since you will probably want to have your system installed by the same company that you purchase it from, you probably won’t benefit from purchasing your equipment from a company that is located halfway on the other side of the world. Instead, dealing with local or semi-local companies is often a better option. Not only will this help ensure that you won’t have any problem having your equipment installed, but it is also always a good feeling to support local businesses that are owned and operated by people who live in your community. Are the People Who Own and Operate the Company Experienced? Having your equipment installed by someone who is experienced in security system installation can help prevent you from dealing with problems and can help reduce the chance of your installation technician making a beginner’s mistake while installing your security cameras and other necessary equipment. The company that you purchase your security camera system from is important, but one of the main things that you should look at is the quality of the equipment. The company is obviously going to tell you that the equipment is good, but doing a bit of research of your own can help you make sure that this is really true. Does the Equipment Get Good Online Reviews? Online reviews aren’t everything, but they can definitely provide you with some form of insight as to whether or not a piece of equipment is worth the price. Although you shouldn’t let a couple of bad reviews prevent you from purchasing security equipment for a good price, products that have primarily bad reviews should often be avoided, especially if a lot of different reviews talk about the same types of issues. Can You Find Out More About the Brands and Models That Are Sold? There are a lot of different manufacturers out there that make security cameras and the equipment that go along with them, and some companies certainly make better products than others. Therefore, you should see if you can find out more about the equipment that you are thinking about purchasing before making your final decision. The Internet is a good place to start, but you might be able to find out more from local electronics stores as well. Does the Equipment Come With Any Type of Guarantee or Warranty? A warranty can be worth a lot if your equipment stops working, so it is something that you should certainly look for when shopping for security equipment. Although it isn’t a necessity to purchase security equipment that comes with a warranty, it can definitely be a good thing. Therefore, you might even choose to go with more expensive equipment if it means that it comes with a good warranty. Is It Hard to Find Parts and Replacement Equipment That Will Work With the Equipment? Although you probably don’t want to think about your security cameras and other surveillance camera equipment breaking down before you ever purchase it, you have to think about the fact that things could go wrong in the future. Not only could your equipment malfunction, but it could also become too old to work properly. Since you are shelling out a decent amount of money for your system, you probably won’t want to replace it anytime soon, so you should look for equipment that can be easily repaired without you having to replace the entire system. Therefore, you should find out if parts and equipment for your system are easy to come by and affordable before making your final purchasing decision. Doing your research beforehand is definitely smart, but you will have a difficult time making a final decision about a security camera system business if you have never talked to anyone from the company before. Therefore, you will need to speak to at least a couple of people from the company about your upcoming purchase. Doing so can give you a few more hints as to whether or not the company is one that you should work with during this purchase or not. 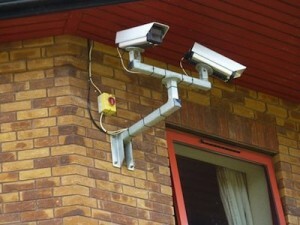 Does the Company Seem Like a Reliable Distributor of Security Camera Systems in Ft. Lauderdale? There are a few things that can clue you in as to whether or not the company that you are dealing with is a reliable distributor of security camera systems or not. Along with reading online reviews, talking to people who have used their services and communicating with people from the company, go with your gut feeling. Do the Employees Answer Your Questions and Address Your Concerns and Inquiries? There is nothing wrong with asking a lot of questions, especially when it comes to keeping your home or business safe and shelling out your hard-earned money for security equipment. Those who are involved in the security industry know this, so they shouldn’t give you a difficult time or act like you are bothering them if you ask questions and mention any concerns that you might have. For best results, look for a company that answers your questions in both a friendly and timely manner. Do You Get a Good Feeling About the Company? If you seem to get a good vibe from the people who you talk to from the company, and if everything seems to be OK, then you might want to give the security equipment company a try. If you feel uncomfortable with the company or someone who works there for any reason, however, you might want to consider taking your business elsewhere or talking to someone from upper management about your concerns. Once you have found a company that you think you can trust, the only thing that you can do is give the company a try. By following these tips, however, you can check things out one last time before making your final purchase. Instead of attempting to decipher what type of equipment you will need to keep your home or business safe, talk to a professional from the company to find out what he or she suggests. Make sure to mention what type of property you will need to have secured, how big the building and surrounding property is and what you would like to protect yourself and your property from. Also, don’t be afraid to talk about the budget that you are on and other important factors that will influence the type of system that you will be purchasing. Regardless of how good or honest a company and its employees might seem, it is important for you to make sure that you aren’t getting scammed when purchasing a security camera system for your home or business. Therefore, you should make sure to carefully read all of the fine print to ensure that you aren’t paying anything that you shouldn’t be, and don’t be afraid to cancel your order if you feel that the company hasn’t been 100 percent honest with you about prices and services. Whether you have a good or bad experience with your security camera distributor, make sure to share your feedback. If you are unhappy with your equipment or the customer service that you received from any of the staff members of the company, you should say so; if you do, the company might try to do something to remedy the situation. If you find yourself extremely pleased with the equipment and service that you purchased, however, sharing can help encourage the company to provide others with similar high levels of customer service in the future.